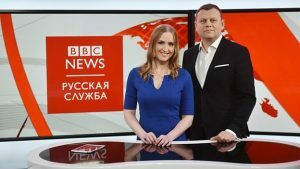 News from the BBC opens OstWest’s Monday to Friday prime-time slot, bringing latest reports, interviews and analysis from the BBC News Russian newsgathering network which covers Russia, the Baltics, Belarus, Ukraine, the Caucasus and Central Asia, as well as the best of news journalism from the rest of the BBC. Covering issues from politics and economy to business, sports and culture, News From The BBC delivers a comprehensive look at the day’s developments. Launched in 1997 (as RTVD), OstWest is available across Germany as well as in Austria, Latvia, Switzerland and Ukraine. The channel broadcasts via cable networks across Germany, satellite (Eurobird9), the website ostwest.tv and IP platforms, Amazon TV and Deutsche Telekom. News from the BBC is available via the websites bbc.com/russian and on the BBC News Russian social-media channels. The programme is broadcast by Moscow-based TV Rain and Bishkek-based Ala-Too 24. 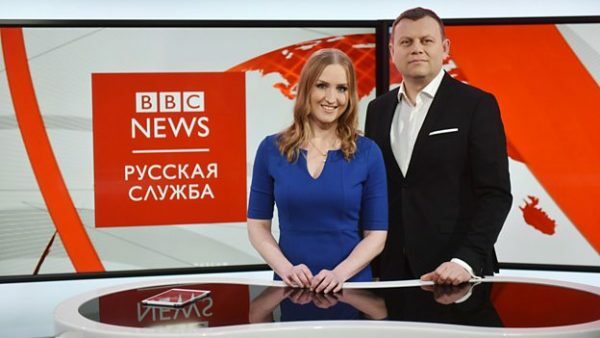 In addition to website bbc.com/russian, the BBC connects with its Russian-speaking audiences via social media such as Facebook, VKontakte, Instagram, Twitter, Telegram, YouTube, Google+, LiveJournal and OK.ru. BBC News Russian is part of the BBC World Service.